Breathe deeply and close your eyes. Imagine yourself strolling the pristine pearl white sand beaches of an island paradise. You are feeling at ease and rejuvenated as you reconnect with your higher self. If this scene has captured you, join us at Mhai Yoga Retreat - the best yoga beach retreat in Cuba at Playas del Este, near Havana, Cuba (www.mhaiyoga.com). The Cuba Restorative Yoga, Meditation, and Jazz Retreat has personalized yoga options, healthy organic food, warm weather, pristine sands, and crystal clear water in an idyllic setting for relaxation, rejuvenation, restoration, and healing with yoga, meditation, fresh organic food, and wonderful people. The focus of this retreat is on providing a world-class quality health and wellness experience for about 12-16 people. Spaces are limited to ensure quality so register today. The 38rd Annual Havana Jazz Festivalhistorically overlapped with the retreat dates, but shifted to January 2018. However, we will enjoy Cuba jazz in Havana during the retreat. 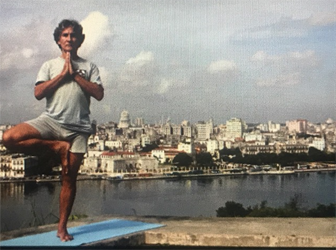 Eduardo Pimentel, ERYT-500, President and Founder of the Cuban Yoga Association (CYA), teacher of over 12,000 students. He began studying yoga in 1971 using a book by Swami Sivananda, and expanded his practice with B.K.S. Iyengar through written correspondence for over 15 years before meeting and training with him in India. He has also trained with Krishna Kaur and Deepak Chopra. He is a registered yoga teacher with the International Yoga Federation. 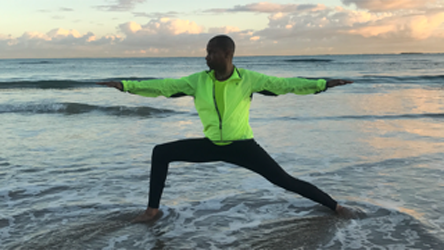 Stephen T. Redmon, RYT-200 (RYT-500 with Kripalu begins Summer 2017), iRest/Nidra Yoga trained, Warriors at Ease Certification (March 2017), Vinyasa Yoga, Hatha Yoga, Running/Walking-Yoga, and Kripalu Positive Psychology Certificate. Member of the following holistic health and wellness-related organizations: Yoga Alliance, Black Yoga Teachers Alliance, Wholebeing Institute, Kripalu Yoga & Ayurveda Association, Fielding Institute for Social Innovation, Yoga Service Council, and Warriors at Ease. 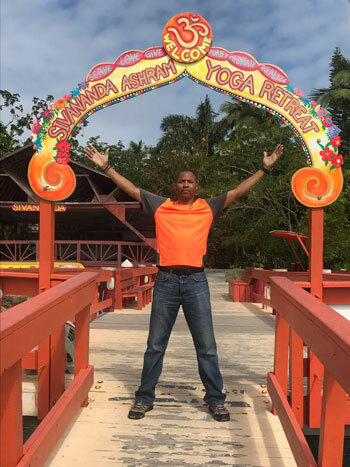 The vision, concept, and planning for this retreat began in about January 2016 when Dr. Stephen Redmon researched the history of yoga in Cuba and began communicating with Dr. Pimentel and his staff. Dr. Redmon organized and led a Cuba Retreat exploratory team to Havana, Cuba in December 2016 and met with Dr. Pimentel, his wife, and the Mhai Yoga staff in Havana and at the Mhai Yoga Retreat. Note: Each participant is responsible for all round-trip flight and visa from their home airport to Havana, Cuba (HAV). We will offer only recommendations for flights on one of several airlines going to Cuba from the US. 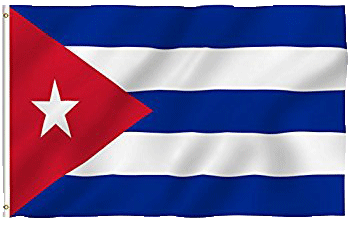 ** There has been an increase in price due to the modified travel restrictions for Cuba. As of May 31, 2017 roundtrip airfares to Havana, Cuba from US cities on the East Coast range between approximately $350 to $950 roundtrip. Airfare varies depending on the airline, schedule, and originating airport – start looking and booking the best fares as soon as you decide to join us. Contact Dr. Redmon with any of your travel questions. Dr. Redmon will be available to personally assist you in the visa process. He is also available to suggest flights and other travel arrangements. Contact him with your questions. Click here for more travel information from the U S Embassy. The Retreat is Still on! Read about the impact of the new travel rules to Cuba and how NomderYoga is addressing them. closing evening event with live music, meaningful interactions with Cuban people, and a healthy, restorative, healing, and re-energizing experience. A non-refundable transferable deposit of $500 per person is due at registration to reserve a slot. Balance/Full payment is due on September 1, 2017. Due to the superb international reputation of Dr. Pimentel and the quality of this yoga retreat location, a waiting list will be maintained for people who attempt to register after the retreat slots are filled. We will begin contacting people on the waiting list on or before July 10, 2017 if retreat slots become available. There is no cost to be placed on the waiting list; however, if space becomes available, if it is prior to September 1, 2017 you will need a non-refundable transferable deposit of $500 with the full payment due on September 1, 2017. If space becomes available after September 1, 2017, you will need to pay for your registration in full at the time of registration. for Active-Duty Military, Veterans, and immediate military/veteran family members. Please submit proof of military status through the form at the right. $500 deposit is required to reserve your spot. The 10% will be deducted from the total price of the retreat. Application must be submitted by June 30, 2017. Our excursion to Havana for either a Havana Jazz Festival (HJF) event or other jazz venues may include Jazz Club La Zorra y el Cuervo, Jazz Cafe, El Gato Tuerto, or Quinta y 16. We may arrange optional excursions if available to enjoy jazz by top international and Cuban musicians. HJF dates and venues have been published. For a full schedule, click here to visit their website. 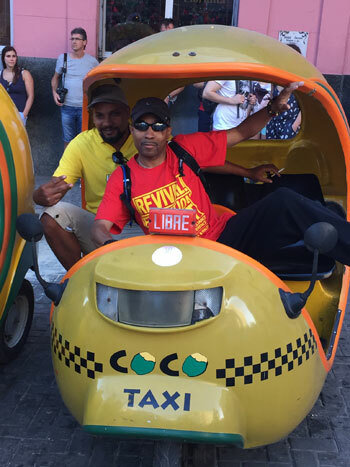 Our retreat will include at least one optional excursion to a jazz or Cuban music venue in Havana during the retreat.